The 2012 Nobel Peace Prize has been awarded to the European Union (EU). 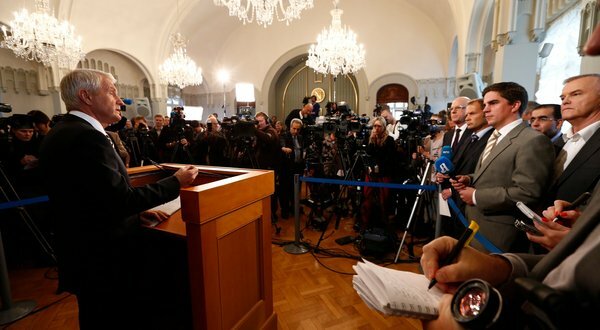 Norwegian Nobel Committee says that The union and its forerunners have for over six decades contributed to the advancement of peace and reconciliation, democracy and human rights in Europe. Read below the official press release about the 2012 Nobel Peace Prize. The Nobel Peace Prize is one of the five Nobel Prizes created by the Swedish industrialist and inventor Alfred Nobel. It is a highly regarded award, recognized internationally. ...shall have done the most or the best work for fraternity between nations, for the abolition or reduction of standing armies and for the holding and promotion of peace congresses. The Nobel peace prize will be handed out in Oslo, Norway, while the other five awards (medicine, physics, chemistry, literature and economics) are presented in Stockholm. Last Year, Nobel peace prize 2011 was handed jointly to three women, Liberian President Ellen Johnson-Sirleaf, her compatriot Leymah Gbowee, and Yemeni women's rights activist Tawakkul Karman. 92 Nobel Peace Prizes have been awarded since 1901. It was not awarded on 19 occasions: in 1914-1918, 1923, 1924, 1928, 1932, 1939- 1943, 1948, 1955-1956, 1966-1967 and 1972. The prize was NOT awarded at certain years as the Nobel Foundation guidelines says as "If none of the works under consideration is found to be of the importance indicated in the first paragraph, the prize money shall be reserved until the following year. If, even then, the prize cannot be awarded, the amount shall be added to the Foundation's restricted funds." During World War I and II, fewer Nobel Prizes were awarded. 62 Peace Prizes have been given to one Laureate only. 28 Peace Prizes have been shared by two Laureates. To date, the youngest Nobel Peace Prize Laureate is Tawakkol Karman, 32 years old when awarded the 2011 Peace Prize. Of the 101 individuals awarded the Nobel Peace Prize, 15 are women. The first time a Nobel Peace Prize was awarded to a woman was in 1905, to Bertha von Suttner. The work of the International Committee of the Red Cross (ICRC) has been honoured the most - three times - by a Nobel Peace Prize. The Vietnamese politician Le Duc Tho, awarded the 1973 Nobel Peace Prize jointly with US Secretary of State Henry Kissinger, is the only person who has declined the Nobel Peace Prize. Many believe that Winston Churchill was awarded the Nobel Peace Prize, but he was actually awarded the 1953 Nobel Prize in Literature. In fact, Churchill was nominated both for the Literature Prize and for the Nobel Peace Prize. Jane Addams was nominated 91 times between 1916 and 1931, when she was finally awarded the Nobel Peace Prize. By contrast Emily Green Balch, Fridtjof Nansen and Theodore Roosevelt received the Nobel Peace Prize the first year that they were nominated. 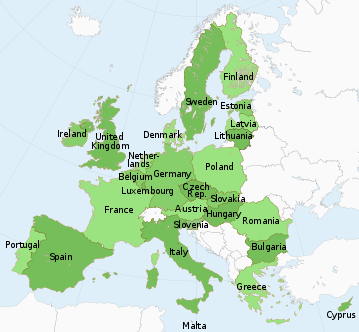 The European Union (EU) is a unique economic and political union of 27 member states which are located primarily in Europe. The EU traces its origins from the European Coal and Steel Community (ECSC) and the European Economic Community (EEC), formed by six countries in 1951 and 1958 respectively. The EU has developed a single market through a standardised system of laws which apply in all member states. Within the Schengen Area (which includes 22 EU and 4 non-EU states) passport controls have been abolished. EU policies aim to ensure the free movement of people, goods, services, and capital, enact legislation in justice and home affairs, and maintain common policies on trade, agriculture, fisheries and regional development. 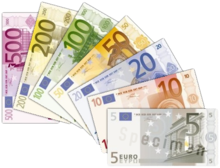 In 2002, euro notes and coins replaced national currencies in 12 of the member states. There are twenty-seven member states of the EU. Six core states founded the EU's predecessor, the European Economic Community, in 1957 and the remaining states joined in subsequent enlargements. Before being allowed to join the EU, a state must fulfill the economic and political conditions generally known as the Copenhagen criteria. These essentially require a candidate to have a democratic, free market government together with the corresponding freedoms and institutions, and respect the rule of law.